When I decided to go on a trip to Las Vegas, I knew I wanted at least one fancy pants meal. 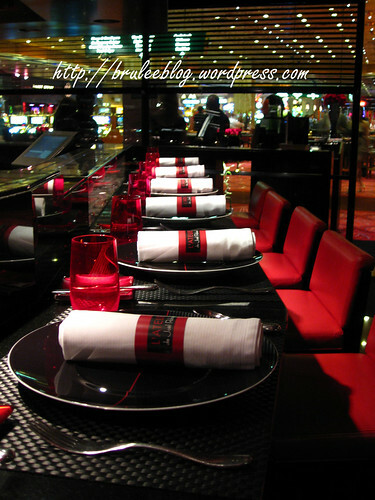 After doing some reading about the various places in Las Vegas, I settled on L’Atelier de Joël Robuchon as the place where we’d have our most expensive meal, to be eaten on the Saturday before we went to a showing of KÀ. I’ve actually had my eye on this upscale chain of restaurants for a while now. 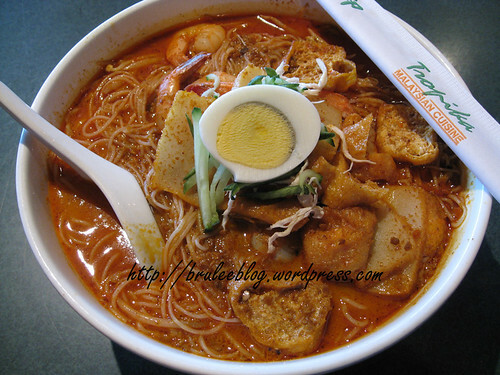 I had planned on going there while in Hong Kong last year, but on the only day I had free I wasn’t feeling hungry at all and ended up going to sleep early instead of trying to find my way there. Because of this, L’Atelier was high on my Vegas to-do list. 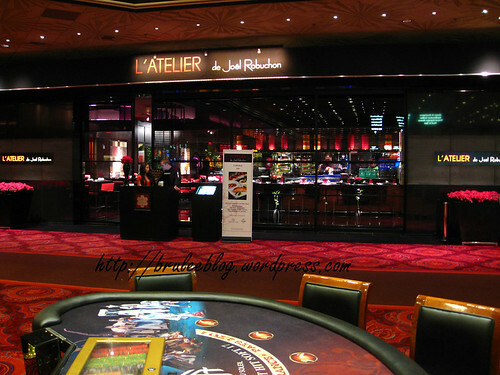 This location of L’Atelier is located right next to the casino floor and they had the doors propped open, which meant that some of the casino sounds filtered into the restaurant. Part way through my meal they closed one of the doors and most of the sounds went away, so at some point I actually forgot we were right next to the casino. 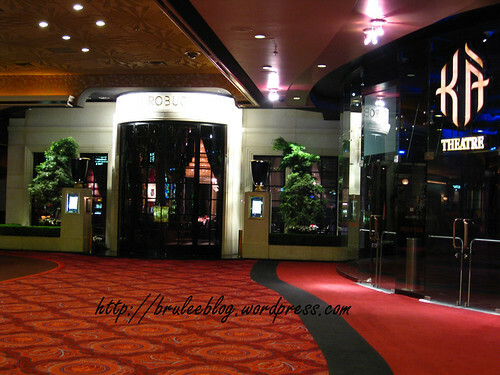 Next to the restaurant is Robuchon’s other restaurant at the MGM Grand, Joël Robuchon at The Mansion (which I considered for my list but crossed off due to the price). And next to that fantastic entrance (look at the chandelier in the foyer!) was the KÀ Theatre. In Las Vegas, L’Atelier is a one-star Michelin French restaurant. A majority of the restaurant’s seating is at a bar surrounding and facing the open kitchen, similar to a sushi bar. An important part of the dining experience here is watching the kitchen staff make your food. It is for this reason that Robuchon calls this series of restaurants “the workshop,” or L’Atelier. The decor was very modern with lots of reds and blacks. The kitchen was decorated by large vases of fruits, eggs, and vegetables floating in water, as well as giant fake apples and round hanging greenery.